Forbes ranked the 15 richest fictional characters, and you can bet to see some familiar names on that list from Chuck Bass to Jay Gatsby. Who is the number 1 richest fictional character, you ask? Follow the link to find out! Home libraries make kids smarter (stating the obvious much?) Miller-McCune posted a great article about the benefits of encouraging literacy as early as possible in children. This effect holds true regardless of a nation’s wealth, culture or political system, but its intensity varies from country to country. In China, a child whose parents own 500 books will average 6.6 more years of education than a comparable child from a bookless home. In the U.S., the figure is 2.4 years — which is still highly significant when you consider it’s the difference between two years of college and a full four-year degree. If you’ve ever accrued overdue fines from your local library, worry no more! You are just following in the footsteps of one our most heroic forefathers: George Washington. He apparently owes $300,000 for having never returned 2 library books! What did he borrow? According to a ledger found in 1934, Washington borrowed the “Law of Nations,” a treatise on international relations, and Vol. 12 of the “Commons Debates,” which contained transcripts of debates from Britain’s House of Commons, on October 5, 1789.
but now it seems Jacobs is retaining the library feel of the space, making it into his local empire’s first bookstore. There isn’t really anything new on the list (nothing that hasn’t been there before). I do however think the reasoning for #5 is amusing. Seriously? Sexually explicit? Did they read the same book that I did? Don’t judge a book by its cover? Well, what’s wrong with you? You stand in the minority, and these 25 insane book covers prove it! Nostradamus makes history again as his Prophecies is the first French book to be archived by Google Books. The 2010 LA Times Book Festival will be gracing the UCLA campus next weekend, April 24th & 25th. General attendance is free, parking is $10 and doors open at 10am. Check out the full A-Z list of authors here to look for your favorites!! Neil Gaiman talks libraries for National Library Week. If you missed his interview, you can find it archived at NPR here. You can also read his interview with Kate Pritchard at Bookpage. KP: Do you have a favorite library? NG: My very favorite library of all is fictional, because it’s the one that I made up in The Sandman. That’s the library of all the books that people dreamed of writing but never wrote, all the sequels that never happened, all that kind of thing. Catch up on your favorite author interviews and giveaways with Book Club Girl. The next interview will be with Todd Johnson of The Sweet By & By on Friday April 26th at 4p. She is also hosting a giveaway for book club members in honor of Rebecca Wells newest novel The Crowning Glory of Calla Lilly Ponder. You can find all the rules and information here. The first 25 clubs to sign up will receive a Randazzo’s King Cake to enjoy during their Calla Lily discussion! Sent directly to your book group from New Orleans’ own Randazzo’s Camellia Street Bakery, this King Cake is adorned with their famous gooey frosting and topped with purple, yellow and green sprinkles, and includes a unique Randazzo’s Mardi Gras theme bag, stuffed with beads, doubloons, the history of Mardi Gras and the king cake, a 2010 commemorative 11x 16 color poster, a beautiful feather mask, and a kings crown! What better way to jazz up your book club night! Not really book related, but its close enough for me. Polyvore is an awesome fashion website with adorable themed outfits. Its Anthro meets a library. I just love their photo compilations of various styles. For those who want the book feel, but can’t afford all the merchandize… this might solve a few of your problems. Do you have an interesting story about books you’d like to share? Send me an e-mail with links to your favorite news blurbs about anything bookish! Save Libraries is a grassroots effort to compile information about libraries in need of our support. Save Libraries will aggregate information about current advocacy efforts, archive advocacy efforts, and provide links to resources for libraries facing cuts. A very informative and useful website for anyone concerned about the state of libraries across the nation. You can check in daily for the latest batch updates on budget cuts, news links and much, much more. I highly recommend visiting this website and putting in your two cents on how valuable libraries are to you. Perhaps the greatest endorsement for libraries and librarians. In a most surprising interview, Rolling Stone’s guitarist Keith Richards reveals that had he not gone into Rock n’ Roll he’d be a librarian! He is in fact an avid bookworm who has taken great pride in developing libraries inside his homes in Sussex and Connecticut. Sad times for school libraries is evidenced in this Google map tracking school library closures across the nation. This map marks the cities, towns, communities, and states that have made the decision to either eliminate certified school library positions (indicated in blue) or require one school librarian to work with two (2) or more school library programs throughout the week (indicated in red). On the 20th anniversary of the publication of The Things They Carried, Tim O’Brien talks with the San Francisco Chronicle about his views on life, war and family. You can read the interview here. Matt Steinglass of the New York Times discusses what its like reading Tim O’Brien in Hanoi. Are you a fan of judging a book by its cover? This New York Times article takes an interesting look at how e-readers are making it harder and harder to accidentally come across that next perfect read. Don’t like your parents? Well neither do the authors of teen and children’s literature. This essay looks through a number of popular, classic and contemporary books and examines the role of the parents. Titles discussed include Neil Gaiman’s Coraline, Twilight, and Wintergirls by Laurie Halse Anderson. A very funny meme on NPR’s Monkey See Blog: How 10 Movies Would Be Different if They Came from Nicholas Sparks Novels. Movies listed include: The Karate Kid, Inglorious Bastards, and The Breakfast Club. Number the Stars by Lois Lowry may be caught in the middle of an international brouhaha between the US and Turkey. You can read the full article here. The book has been banned by the Turkish Department of Education on what seems to be little to no evidence. The latest (and scariest) book trend: Reality TV stars cashing in on their 15 minutes of fame via publishing deals. Actually, the reality stars of Bravo’s The Real Housewive’s of New York City have taken their sass to the bookstores. How to Be a Jewish Mother by Jill Zarin is only the fourth book to be published by a New York Housewife, two books belong to Bethany Frankel. Zarin is the third housewife of New York to publish a book, the first being Bethany Frankel with her Skinny Girl cookbook, followed by the Countess and her book of etiquette for the modern woman. 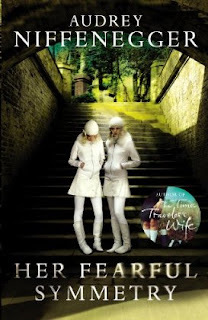 Look for another book by Alex McCord and husband Simon van Kempen to also be released in April. Going to Book Expo America this year? Make sure to wake up bright and early to catch Jon Stewart at the Author Breakfast as he Emcee’s the event and introduces Condoleezza Rice Thursday May 27th. For those who cried themselves to sleep upon hearing that Stephanie Meyer negated all hope of publishing Midnight Sun (the 5th of the Twilight Saga). Well dry your tears and get your wallet ready, because The Short Second Life of Bree Tanner: an Eclipse Novella is set to go on sale Saturday June 5th. The best reason to buy the book? One dollar for each copy sold from the first printing will be donated to the American Red Cross International Response Fund. Tales of the City by Armistead Maupin has been adapted into a musical production – Read more at SFgate. created with veterans of “Avenue Q” and members of the rock band Scissor Sisters – will receive its world premiere in the American Conservatory Theater’s 2010-11 season. I reviewed this title sometime last year, you can read my review here. Its a delightful ode to San Fransisco. The characters are creative, funny and loveable and the mentions of the city make any local’s heart melt. The Northern California Book Award Nominees are listed here. The Nor Cal Book Awards have highlighted some of the finest and most popular authors of our time; Michael Chabon, David Eggers, etc. I’m happy to announce that the winners will be announced at the San Francisco Public Library from 1p-2:30p on April 18th. Sid Fleischman, author of many beloved children’s books, including one of my favorites: The Whipping Boy, passed away at age 90. The New York Times has written a great mini bio of his life and career as an author. You should definitely stop by to check it out. Our shirts feature iconic and often out of print book covers. Some are classics, some are just curious enough to make great t-shirts, but all are striking works of art. ** Check out Caribous Mom to enter a giveaway for the Patrick Taylor Irish Country series. The drawing takes place Tuesday March 30th, so make sure to get your name in there now! ** Check out an awesome 2.5 minute clip of the goings-on at an Amazon Warehouse over at Letters on Pages. On a personal note, I think tours of any kind are awesome! ** Wonders and Marvels is hosting a giveaway for Abraham Lincoln: Vampire Hunter. The last day to enter is TODAY before midnight. Better get your name on the list pronto. ** Dewey’s 24-Hour Readathon is coming up quickly on April 10th this year. Do you have your books ready? I think I may actually be able to participate in this one, although I do have to go to a cousin’s engagement party that evening…but I’ll be reading before and afterwards! Just this morning I received a really wonderful email about my blog from Sourcebooks Inc. My blog will be featured in one of their upcoming titles: Read, Remember, Recommend: A Reading Journal for Book Lovers by Rachelle Rogers Knight. You can check out her blog at www.bibliobabe.com. I’m not sure if there is a blurb associated with my blog, or if I’m just listed along with a number of other book blogs, but just that I made it into a published book is really amazing. I’ve been on cloud 9 all day today. The book won’t be released until April 1st, so I have to wait another 2 weeks before I can actually see my blog in print!! I’m very curious to see what other book bloggers were selected. According to the table of contents, there are 10 pages of book blogs listed at the back under a section called Loaner Lists. The rest of the book is a compilation of international award winning titles, book lists, book clubs, etc. It seems like a pretty complete guide for librarians looking for books to order, or readers looking for books to add to their to-be-read list. I don’t know if its because I’ve upped the number of hours I listen to NPR each week, but I’ve been hearing more and more news talks about books, so I thought I would share some of the more interesting (to me at least) blurbs. 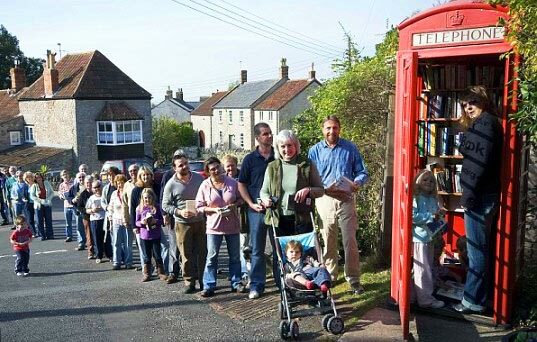 One of Britain’s few remaining traditional red phone booths has been recycled into one of the country’s smallest lending libraries – stocking 100 books. Villagers from Westbury-sub-Mendip in Somerset can use the library around the clock, selecting books, DVDs and CDs. Users simply stock it with a book they have read, swapping it for one they have not. Marco Werman speaks with local resident Janet Fisher about the unusual library. This is such a cool idea! Its very creative and quaint. The phone booth currently holds 150 books, all supplied by people living in the neighborhood. The book industry, beleaguered by a battery of dispiriting news about lackluster sales and online price wars, got another taste of the apocalypse on Thursday with the news that Kirkus Reviews, the venerable prepublication review journal, was closing. Kirkus books is highly used by librarians and booksellers in regards of deciding what books to purchase. Their reviews were terse, direct and quite blunt. Kirkus, Publisher’s Weekly and Booklist (in addition to School Library Journal and Library Journal) make up the primary sources for librarian’s when picking and choosing what books to purchase, or what books to recommend to inquiring minds. For those of us who grew up with the Babysitter’s club, now is your chance to visit that long-last era of your life and reunite with the best friends you always wished you had. All this week, various blogs will feature special character spotlights and ruminations on one of the most beloved series of our youth. Make sure to check in regularly at My Friend Amy’s blog for a daily dose of BSC reviews, character spotlights and more! She’s the host of this fun tribute, so make sure to tell her how thrilled you are she’s doing this. I’ve noticed the sad decline of the BSC series on the library shelves, and it seems to be spreading nationwide. While the Boxcar Children series is still running strong, most libraries have already deleted almost all of their copies, due to condition and lack of circulation. I loved this series. 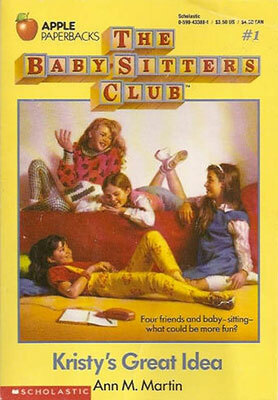 My sister signed up for the monthly BSC book club, but I was the one who read all the books. Even going into the BSC Little Sister series with Karen. I ordered all the books from the Scholastic book orders we got in elementary schools (who doesn’t love those?). I have almost all the mysteries, all the vacation books and I’ve seen both movies and all the TV shows. I’m glad this week gives me a chance to travel back into a time of my life that really helped shape my future. Although the classics are out of circulation, you can catch the girls in a graphic novel format, and keep the stories going. The various shades of Her Fearful Symmetry. Through a series of events, I somehow ended up with 3 versions of the newest Audrey Niffenegger book, Her Fearful Symmetry. One copy is an ARC that I found at the library. The second copy is one that I had pre-ordered from Amazon.com and lastly, the third copy is the signed copy that I won from a Twitter drawing run by Scribner Books. Each copy has a different cover and a different feel to it. I went into The Time Traveler’s Wife not knowing a single thing about the book or the author. I bought it on a whim from Border’s Express because they had a buy 2 get 1 free sale and I wanted to read Life of Pi (which I never did finish, but that’s a story for another post). At the time I started reading TTW, my boyfriend and I had just begun the first leg of our 2 year long-distance relationship and I could relate very much with the Claire and Henry. Unsure of my future with the man I loved, unsure of when I would see him, or for how long. 6.5 years after our first date, he proposed and now I know what our future is. TTW hit me in a way that very few books do, and even though my relationship has progressed, I don’t feel that I’ve outgrown the book. Her Fearful Symmetry is the November pick for my book club. I want to read it right now, but at the same time, I don’t. It seems like everyone really loves this book, they say its better than her first. I’m very wary, but I should just open up the book and get it over with right? Putting it off will only make me expect that much more out of it, I think. Are there any books you put off reading because of all the hype surrounding its release? How does the hype effect your reaction to the book?